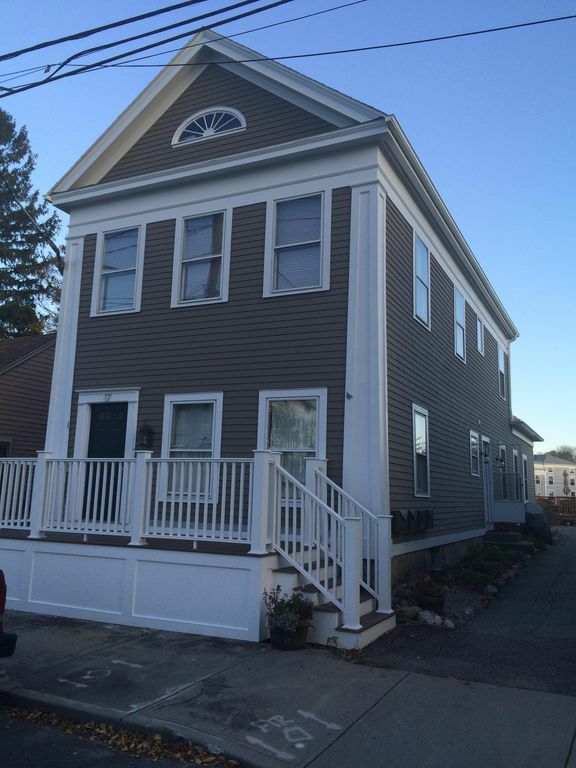 This professionally renovated historic home in downtown Mystic has everything you need for a quiet getaway! Walking distance from the train station...just a mile south of Route 95. No car ...no problem! The unit is 400 sq ft complete with separate bedroom, bath, with a fully functioning granite kitchen opening up to the sitting area where you could curl up with a book or enjoy the large flat-screen TV. You are one block from the Mystic River and the historic downtown, a five minute walk to the Mystic Seaport and less than a mile from the Old Misitck Village full of shops, cinema, restaurants and the Mystic Aquarium. Launch your kayak or paddle board and explore Mystic by water! Restaurants are plentiful in Mystic with a preview of menus waiting for your perusal. After years of living and enjoying the Mystic and Stonington area, it has always been a dream to own a property where all the downtown Mystic events could be enjoyed. Downtown Mystic has something for everybody! Luxury bath with large walk in shower. Walking distance to historic Downtown Mystic, Seaport, Mystic River and several incredible restaurants. Old Mistick Village and Mystic Aquarium are within 1 mile. From front of house - 1 block away Not seen from the rental, you are only a block away! The microwave is a convection oven. A few minute walk to everything and great amenities. Loved our stay in Mystic. We were close to downtown and the apartment was wonderful! Great location and extremely clean! We spent two nights in this unit. Upon arrival the unit was clean and as described. The location was walking distance to downtown, and all other Mystic attractions. We have stayed here several times and I just love it. It is close to everything, it is beautifully appointed, clean, plenty big enough for two people and I would highly recommend this property. We had a great time and enjoyed the space and location immensely! Booking, finding the house and information about our stay were easy to understand and organized. Thanks so much for a great stay!